Oprah Winfrey and O, The Oprah Magazine have declared 2019 as the year of coming together. Issues of O throughout 2019 will explore the magic that happens when people unite to share passions and solve problems in their communities. To kick things off, the January issue of O, The Oprah Magazine talks to four all-female crews – from a New Orleans motorcycle squad to a Boston-born rowing club – who are making waves and finding fellowship. Oprah also opens up about the importance of coming together and respecting each other as human beings. I am so excited and happy to see Oprah putting the idea of coming together into the universe in 2019. I truly think it is what we need now more than ever! If I ever feel down I always turn to Oprah for advice and stories on how to be more positive. She never lets me down and the January 2019 issue of O is the perfect way to start off a new year with an abundance of positive light. 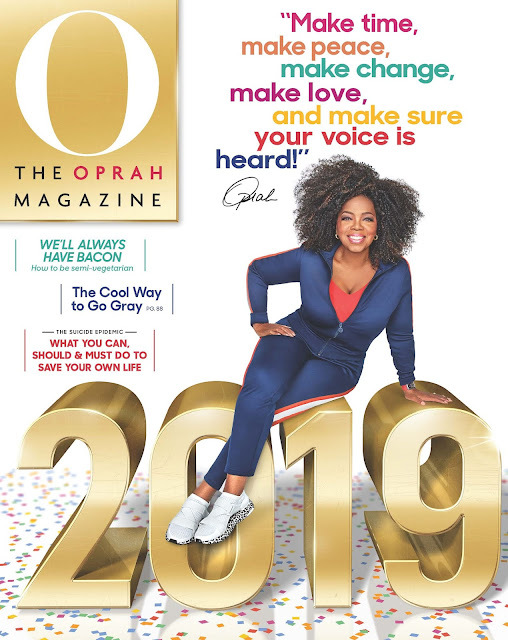 Check out some of the positive things that Oprah has to say in the issue below.